Everyone…get ready… It’s SunFest time! 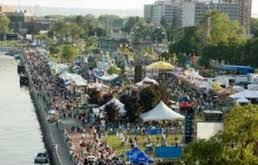 Held every year on the beautiful West Palm Beach Waterfront, it is the largest music and art festival in Florida. People from all over the area look forward to this event all year long. With 3 stages of live entertainment, this year’s lineup includes Fall Out Boy, Pixies, Lenny Kravitz, Paramore, Hozier and so many more. Whether you enjoy Reggae, Rock, Pop or Country, there is something for your listening pleasure during this 5 day event. Visit the BB&T Juried Fine Art & Craft Show which includes jewelry, painting, pottery & ceramics, photography, sculpture, wood, arts and crafts. Stop by the xfinity KidZone with activities and entertainment including face painting, bounce house or just play in the sand. 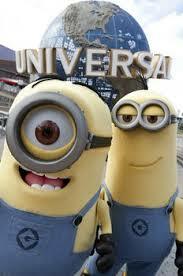 Meet the Minions from Universal Orlando® Resort on Saturday and Sunday. Walk along Flagler Drive and take in the scenery while listening to the music in the background. Oh, let’s not forget the food and refreshments as well as the spectacular SunFest Fireworks Show on Sunday, May 3rd at 9pm! Stay hydrated as temperatures can get very hot especially during the long weekend hours. SunFest Advanced tickets can be purchased online and at all Publix in Palm Beach and Martin Counties until April 25th. Tickets are available for 1-day, 2-days or 5-days. Senior tickets $20. (65 and older) are only available at the gate with valid ID. Remember no large bags allowed at SunFest. Small bags; nothing larger than 12 by 12 inches and 6 inches deep. No coolers, No backpacks. Diaper bags will be searched. Also the City prefers clear bags for ease of searching. For a list of what is allowed, click here.